Are you ready for the final season of New Girl? FOX has just announced the premiere date for the TV show’s seventh and last season, Deadline reports. The long-running sitcom stars Zooey Deschanel, Jake Johnson, Lamorne Morris, Max Greenfield, and Hannah Simone. The upcoming season will feature the return of former and recurring guest stars Dermot Mulroney, Damon Wayans Jr., Nasim Pedrad, David Walton, Nelson Franklin, Sam Richardson, Jamie Lee Curtis, and Rob Reiner. The seventh and final season of New Girl premieres on FOX on April 10th at 9:30 p.m. ET/PT. What do you think? 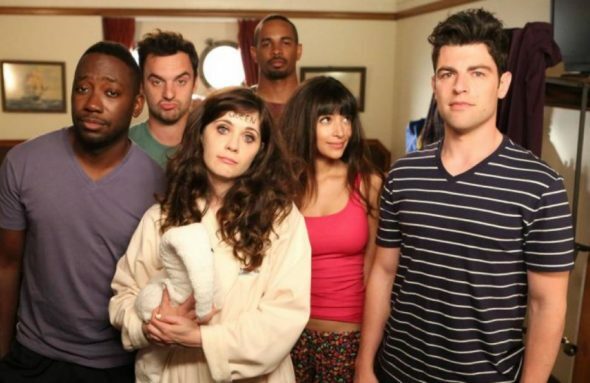 Are you a fan of New Girl? What do you hope happens in the final season? More about: FOX TV shows: canceled or renewed?, New Girl, New Girl: canceled or renewed? New Girl: Season Seven; Is Nasim Pedrad Coming Back for the Final Season?